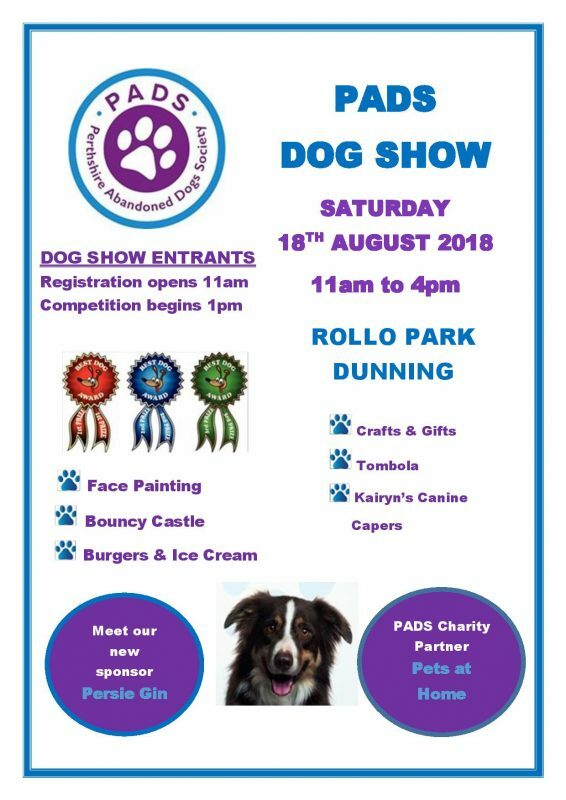 Scrufts Dog Show is PADS annual fundraiser and gets bigger and better every year! Held on Saturday 18th August, in the village of Dunning, beside the Golf Club, postcode is PH2 0RH. It’s £2.00 per dog, per class, payable cash when you register. We are also holding a free class – Best Trick, all dogs must register at the registration tent. Registration opens at 11am, the show will start at 1pm. There will be an assortment of stall holders and Kairyn is bringing her agility equipment too! Free parking is available in the park, please drive no faster that 5mph. Public toilets are available in the Community Pavilion. This entry was posted in Events and tagged Agility, charity, dog, fun day, fundraiser, Market, Puppy.